*TWO FREE SPOTS TO ANYONE WHO DOESN’T HAVE THE FUNDS. Email me for info. I’m thrilled to be partnering with fellow Arbor Vitae alum, organic farmer, and founder of the Kaaterskill Herb Exchange, Aviva Tilson, to offer Herbs & Mental Wellness next month! This is a really rewarding class for me to teach and I love examining how our beliefs and assumptions (most of which are actually very old and outdated) play into our mental and emotional health. In this class, we will cover ancient and indigenous plant wisdom, the key differences between allopathic and holistic medicine, system and organ patterns of disharmony that can lead to emotional disease, and herbs and foods that support optimal mental and emotional health. Deborah and I first offered this class a couple years ago and are re-offering due to the continued need to RELAX! Sign up here, space is limited. Seeking conscious community? 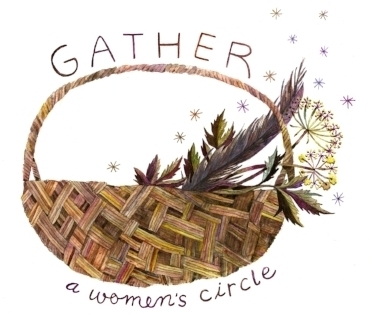 Please join me and Andrea Frade for GATHER, a monthly women’s circle in Hastings-on-Hudson, NY. Created out of a growing need for communal connection, we will offer a safe space for women and people who identify as such, to connect, reflect, and heal. The next two circles will be held on January 20th and February 17th. Email me to sign up. Back by popular demand! Deborah Bagg and I will be offering Befriending Anxiety: A Multifaceted Approach to Supporting Our Nerves in Modern Times at Juniper. Sign up here. Andrea Frade and I invite you to join us November 18th for GATHER: A Women’s Circle To Ground, Connect and Explore the Divine Feminine. This month we will delve deeper into the energetics of Autumn, experience some rooted movement, honor the new moon with ceremony, and spend some time reflecting and sharing on the common threads arising for us all. Please sign up here. We request payments be made by the 17th to secure your spot. 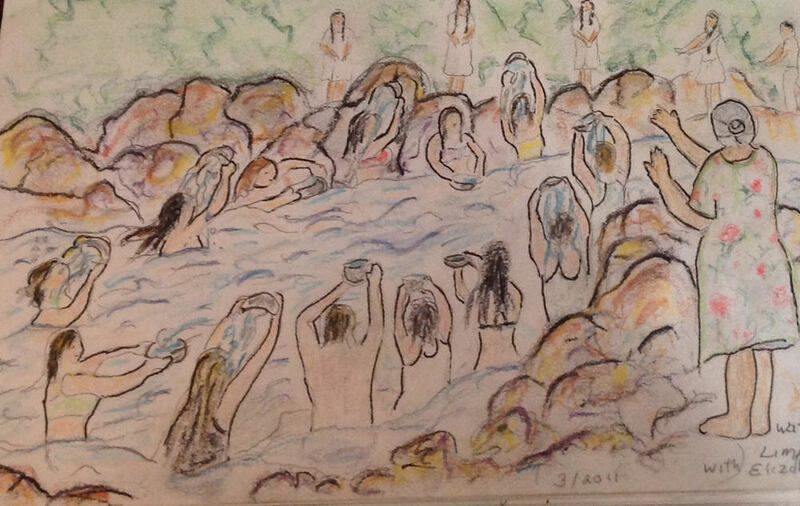 Andrea and Heidi feel called to offer a regular, sacred gathering in response to a growing need for communal connection. Our intention for Gather is to create a safe space for women, and people who identify as such, to connect, reflect, and heal. GATHER is a monthly assembly. 'Tis the season of the witch! Please join me and Andrea Frade Saturday, October 21st for GATHER, a women's circle to connect, reflect, and heal. We feel called to offer a regular, sacred gathering in response to a growing need for communal connection. Our intention for Gather is to create a safe space for women, and people who identify as such, to come together. The Divine Feminine invites us to remember those exalted states we have fallen out of balance with: creativity, intuition, and the mystical. Women have always gathered in circles, to share, support, and transform. Gathering together in circle holds the space for our whole-selves and expanded consciousness. When women gather intentionally the potential for personal and collective transformation is amplified. Liza Roeckl and I will be combining our love of the divine feminine and holistic healing, to offer an informative and experiential class for supporting optimal levels of fertility. We will cover fertility foods, herbs, flower essences, a spiritual bathing ritual, and a discussion on the benefits of Arvigo Mayan Abdominal Massage, a specific body work designed to restore harmony within the body and reproductive system. This class is intended for women who are looking to conceive and are interested in preparing mind, body, and spirit to bring new life into the world. Sign up here. The Divine Feminine invites us to remember those exalted states we have fallen out of balance with: creativity, intuition, and the spiritual. Women have always gathered in circles, to share, support, and transform. Gathering together in circle holds the space for our whole-selves and expanded consciousness. When women gather intentionally the potential for personal and collective transformation is amplified. GATHER will be a monthly assembly, the first four meetings will occur on Saturdays from 2-3:30: September 16th, October 21st, and November 18th, December date TBD. Please email me directly to sign-up. Andrea and I feel called to offer a regular, sacred gathering in response to a growing need for communal connection. Our intention for Gather is to create a safe space for women, and people who identify as such, to connect, reflect, and heal. In order to meet the demands of our times and to thrive, it is sometimes necessary to access deeper support from the plant kingdom. Flower essences are a gentle and effective vibrational plant medicine specifically concerned with our evolution, and are available for the unique challenges facing the Collective and Planet right now. If this offering resonates, please join us! Read more and register here. Join me and my Aunt, Virgina Voronin, for a weekend of healing and medicine making in the beautiful countryside of Vermont. 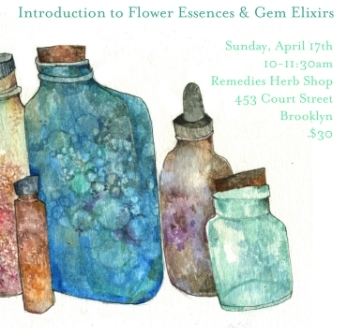 This workshop is appropriate for beginners as well as experienced herbalists wishing to deepen their practice. Cost: $375, which includes sleeping accommodations in the guest house as well as all organic, locally-sourced meals. A discounted rate of $275 is available to those who would prefer to camp on the property. Virginia Voronin, L.Ac, Herbalist, has over 25 years of alternative healing experience throughout the U.S., Mexico, Central and South America. She is also a skilled artist, gardener, yoga instructor, and shamanic healer. Virginia is a master homesteader, creating and maintaining vegetable, flower, and medicinal gardens for over 35 years. She feels her early relationship with the plants is the unifying thread connecting the many facets of her interests and life pursuits. Presently, Virginia is developing a unique meditation garden featuring large “green sculptures” using medicinal, wild, and cultivated plants. She is the founder of Witness Oak Artist Retreats. Virginia’s healing practice blends all of her passions dynamically together. She sees clients at her home in Rockingham, VT. You can contact her via email at virginiavoronin@yahoo.com, her Facebook page, or by phone (802) 779.3652. Join Deborah and Heidi for this informative and interactive workshop to gain a deeper understanding of how to alleviate anxiety. Deborah & Heidi are inspired to offer a class to contextualize anxiety within a framework of being human at this evolutionary point, amidst collective unrest. Bring your curiosity as we open up the conversation and explore ways of befriending anxiety. All participants will leave with both a flower essence and herbal tea blend. Please register in advance so that the teas and tinctures may be provided for all participants.